16 environmental protections that the Trump administration dismantled in 2017. Sixteen environmental protections that the Trump administration dismantled in 2017. 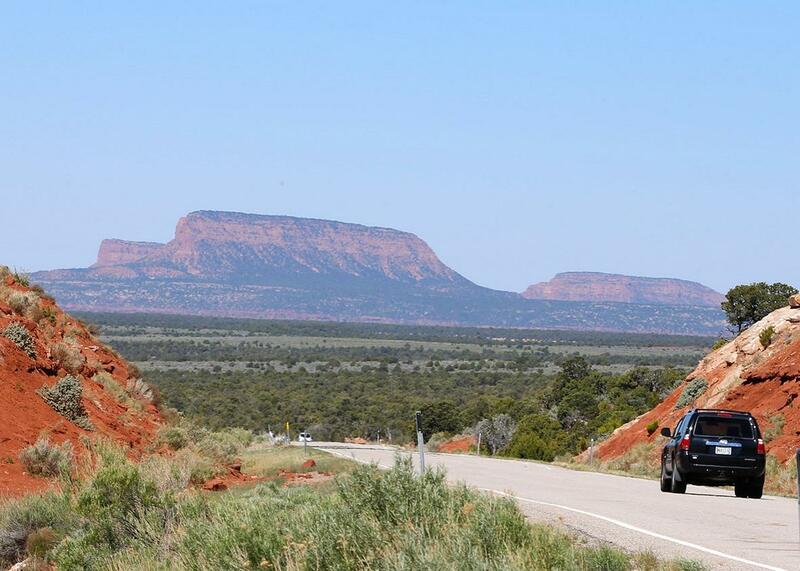 A car drives down the Bicentennial Highway in the Bears Ears National Monument on May 12 outside Blanding, Utah. This story is republished from High Country News as part of a collaboration with Climate Desk. President Donald Trump has spent the past year steadily undoing Obama-era environmental protections, especially rules designed to fight climate change. By law, agencies must go through a lengthy process to rescind or rewrite many rules, but executive orders and other policies are easier to erase. Some of the rollbacks have major implications for the West and public lands. Trump slashed two national monuments in southern Utah and is considering changes to other monuments in the West. Under Trump’s boundaries, Bears Ears becomes two separate management units: Indian Creek and Shash Jáa. The two together are just 15 percent of the footprint protected by President Barack Obama in 2016. The new Grand Staircase-Escalante National Monument is about half its original size. Countless archaeological, paleontological, cultural, and scenic treasures are left out of Trump’s new boundaries. Bears Ears and Escalante supporters are suing to block this unprecedented action. At the Trump administration’s urging, Congress in December opened parts of the Arctic National Wildlife Refuge to oil and gas drilling. This was an enormous loss for the Gwich’in, a Native Alaskan people, and environmental groups, which had successfully protected the refuge from drilling for decades. Drilling in the refuge is part of a broader policy of the administration to increase oil production in Alaska and in Western public lands in general. In December, the administration offered the largest lease sale ever in the National Petroleum Reserve, Alaska. But companies bid on a tiny fraction of land available—only seven of the 900 tracts offered. The Environmental Protection Agency is proposing to rescind the 2015 Clean Water Rule. This rule—particularly important in the arid West—mandates, for example, protecting tributaries that connect to navigable waterways and adjoining wetlands, even if they flow only part of the year. If it’s revoked, those tributaries could be filled in, ditched, or diverted for construction or farming without federal review. In October, the Supreme Court heard arguments about whether federal district courts or appeals courts should hear several pending cases challenging the rule. It’s unclear when it will issue a decision. EPA Administrator Scott Pruitt plans to write a new rule describing which waters and wetlands warrant federal protection and which should be left to state discretion. In the meantime, the Trump administration is trying to delay the date the Obama rule goes into effect until 2020 in case the courts uphold it. The EPA also plans to eliminate protection of many wetlands and streams by narrowing the definition of a “navigable water.” This will be especially significant in the arid West, where most streams run only part of the year or after rain events. In August, Interior Secretary Ryan Zinke repealed a 2016 Obama rule designed to ensure that taxpayers get a fair return on oil, gas, and coal. The Obama administration estimated the rule would have increased the royalties that fossil fuel industries pay to mine and drill federal lands and waters by about $80 million a year. The rule was meant to eliminate a loophole that allows companies to sell to affiliated companies that then export and resell the minerals at higher prices, reducing royalties. Zinke said it was too complex and plans to draft a new rule. In 2016, the Bureau of Land Management implemented a rule limiting how much methane can be released from some 96,000 oil and gas wells on federal and tribal lands. Methane is a potent greenhouse gas, and the 2016 rule’s goal was to reduce emissions that contribute to climate change, smog and health problems, as well as to increase royalties. Industry claims the rule is too onerous and duplicates state rules. Congressional Republicans tried unsuccessfully in May to erase the rule using the Congressional Review Act. The BLM in December suspended it until 2019, and Zinke plans to rewrite it. The EPA also passed a rule in 2016 designed to limit methane emissions, but from new and modified oil and gas wells, compressor stations, pneumatic pumps, and similar equipment. It was a key part of Obama’s climate change agenda; his administration projected that industry’s costs would be partially offset by revenues from recovering and selling more natural gas. Pruitt has sought to prevent the rule from going into effect, but environmentalists and the states of New Mexico and California have been fighting him in court. The EPA now has proposed suspending the rule for two years while it redrafts it. Environmental groups fear the arbitrary deadlines will hinder public engagement in public-land decisions. But John Freemuth, a public policy professor at Boise State University, said environmental impact statements are often long and incomprehensible to most people. “Trying to make this process work better and happen quicker is probably not a bad thing, unless it’s done for surrogate reasons, like to get more coal off the land,” Freemuth says. Obama wanted the federal coal-mining program to better reflect its costs to taxpayers and the planet. So in 2016, Interior Secretary Sally Jewell placed a three-year moratorium on new coal leases on federal land while reviewing the program, which produces about 40 percent of the coal burned in the U.S. for electricity. This March, Zinke canceled both the moratorium and the review. Given declining demand for coal, though, there’s been no rush for new leases. One exception: Cloud Peak Energy is seeking to expand operations in Wyoming’s Powder River Basin. The National Park Service in August rescinded a sweeping December 2016 policy instructing managers to use an adaptive approach to decision-making, taking into account uncertainties such as climate change impacts, and erring on the side of caution to protect natural and cultural resources. The policy also committed to address worker harassment. Now, NPS says revoking the order avoids confusion while Zinke establishes his own vision for the parks. Also in August, the agency ended a six-year policy that allowed parks to ban the sale of disposable water bottles to decrease waste and greenhouse gas pollution. Western parks that banned bottled water included Arizona’s Grand Canyon; Arches, Bryce, and Canyonlands in Utah; Saguaro in Arizona; and Colorado National Monument. The EPA has taken steps to repeal the Clean Power Plan, the Obama-era regulation intended to reduce greenhouse gas emissions 32 percent by 2030 compared to 2005. The Supreme Court had already stayed the rule, pending court review. The Trump administration asked the U.S. Court of Appeals for the District of Columbia Circuit not to rule in the case, and in August the court agreed to suspend its review. Trump’s EPA also is reconsidering an earlier Obama administration rule that required that all new power plants meet greenhouse gas standards, which roughly equate to emissions from modern natural gas plants. The rule effectively banned the construction of new conventional coal-fired power plants and remains in effect. Trump revoked Obama administration policies that had blocked or postponed construction of the Keystone XL and Dakota Access pipelines. Environmentalists had long objected to Keystone XL because the heavy tar sands crude oil that it carries has a bigger greenhouse gas footprint than conventional crude oil. It requires a lot of energy to get tar sands out of the ground and process it for transporting by pipelines. The Standing Rock Sioux Tribe and many supporters from other tribes and the environmental community staged a monthslong protest to oppose DAPL. They raised concerns about sovereignty and the risk that potential spills pose to water resources that the tribe needs for farming and other uses. Trump touts the pipeline projects as key parts of his energy independence and infrastructure plans. The EPA and the National Highway Traffic Safety Administration are considering backtracking from Obama’s plans to boost fuel efficiency for cars and light trucks to the equivalent of 54.5 miles per gallon by model year 2025. The outcome is important in the West because California has led the rest of the country in pressing for cleaner cars, both to improve its air quality and achieve its climate change goals. California has fiercely objected to the possible rollback and vows to keep the standards. Thirteen other states, including Oregon and Washington, also warned Pruitt not to weaken the fuel standards and vowed to defend them in court if he does. Obama withdrew large sections of the Arctic and Atlantic Oceans from drilling to protect marine habitats. In an April executive order, Trump reversed the withdrawals and ordered annual lease sales in those areas, including in the Chukchi Sea, Beaufort Sea, Cook Inlet, Mid-Atlantic, and South Atlantic. Environmental groups have sued in federal court, challenging the legality of Trump’s action. In April, Trump ordered a reconsideration of a 2016 rule designed to prevent the kind of engineering failures that led to the catastrophic 2010 BP disaster in the Gulf of Mexico. That explosion killed 11 workers and inundated the fragile coast and deep sea with the largest marine oil spill ever seen, pummeling the Gulf’s seafood industry, killing thousands of marine mammals and rare sea turtles, and contaminating their habitats. The chairmen of the bipartisan National Commission on the BP Deepwater Horizon Oil Spill and Offshore Drilling warned in a New York Times opinion piece that Trump’s order threatens the most important safeguard for preventing repeats of the BP disaster. Trump abolished policies crafted by the Obama administration to consider the cost of climate change to future generations when considering the costs and benefits of proposed regulations and when analyzing the environmental impacts of government actions under the National Environmental Policy Act. The social cost of carbon is a dollar amount that represents how much a ton of carbon pollution will “cost” society over the long run, such as the loss of usable dry land because of sea level rise, stresses to agriculture from droughts, and increased need for air conditioning. Trump’s March executive order directs agencies to use a 2003 policy that does not include directions on calculating these future costs of greenhouse gas emissions. As part of his strategy to prepare the United States for the greater risks of climate change, Obama signed an executive order in 2015 requiring that the federal government consider sea level rise and storm surge when designing infrastructure and building in flood-prone areas. Just days before Hurricane Harvey hit Texas, Trump signed an executive order revoking Obama’s order. Trump defended his decision as an incentive for investments in infrastructure. Many professional engineers, insurance companies, and environmentalists objected to the repeal, saying that the standard protected people and property and reduced expenses to the federal government associated with rebuilding after flooding.